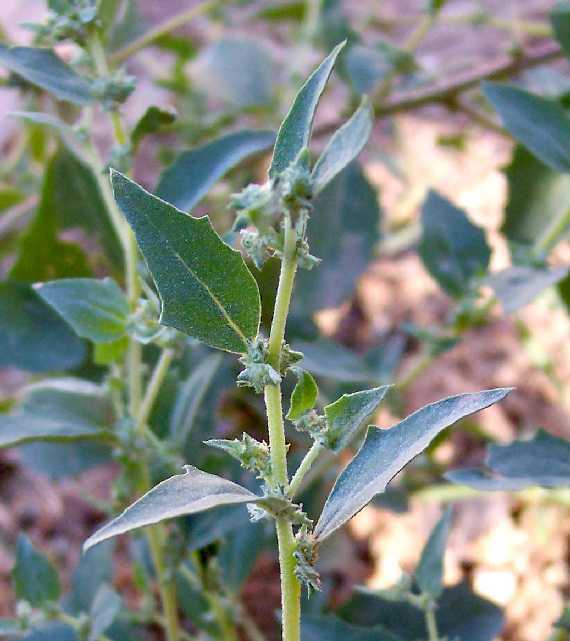 Atriplex species are immediately recognized by the bracts around their female flowers. These bracts persist in fruit to enclose their single seed, when they are called fruiting bractlets in Kearney and Peebles. 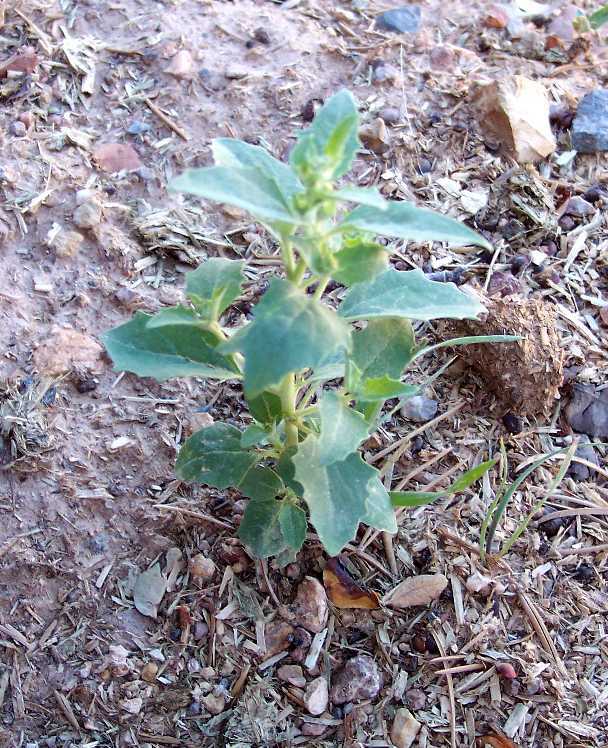 The bracts are an important characteristic to distinguish Atriplex species. From a SEINet search on 28 September 2007, there are 4 vouchers of this species from the Coconino County portion of the Grand Canyon. The nearest is from Next to Desert view Tower at an elevation of 7460 feet. Note that there may be additional vouchers at other herbaria not available through SEINet. 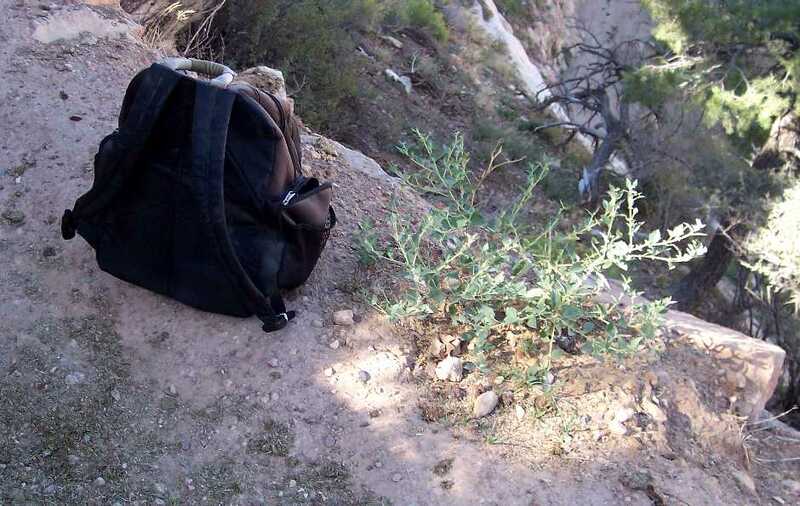 First occurrence on Bright Angel Trail: mile 0.02, elevation 6834 feet (2083 m). Number of plants along Trail: I couldn't recall seeing the plants anyplace other than at mile 0.02, where there were ~10 or so. I left the estimate of the number of plants blank on the plant trail guide to remind me to note the number of plants and locations on my next visit. You can see why I didn't try to photograph this mature specimen from the other side of the trail! 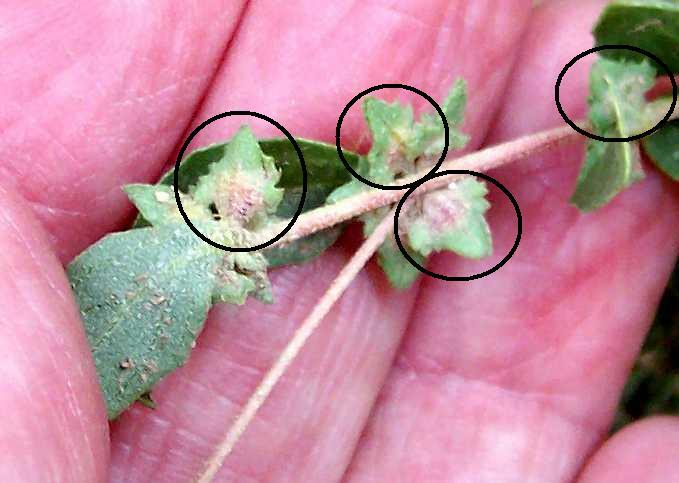 The next two pictures shows the fruiting bracts. The second picture below has them circled.